Loudoun Hunger Relief’s food pantry in Leesburg is stocked with fresh produce, meat, milk, eggs and other necessities, much of it donated from local businesses with furloughed federal employees in mind. The food pantry encourages anyone in need to stop by during their walk-in hours, from 10 a.m.-12:45 p.m. Mondays, Wednesdays, Fridays and Saturdays; or by appointment 10 a.m.-12:45 p.m. and 5:45-7:20 p.m. Tuesdays and Thursdays by appointment. The pantry is located at 750 Miller Drive, Suite A-1 in Leesburg. The nonprofit saw low turnout at two pop-up market it held last week specifically for anyone impacted by the federal government shutdown, including government contractors and furloughed federal employees. 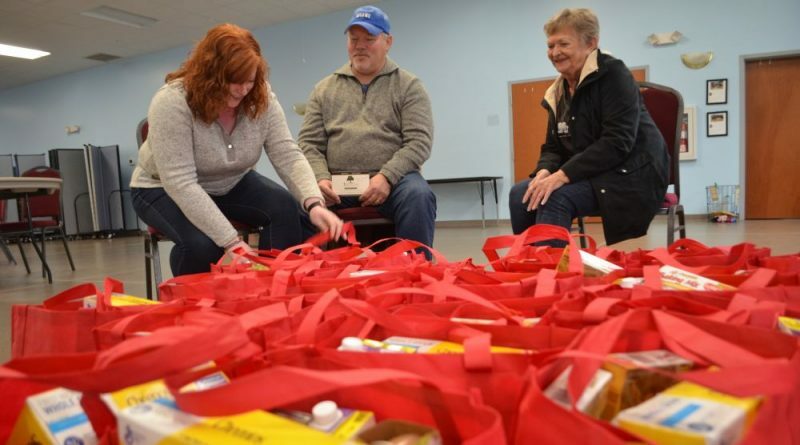 About 40 people came to a pop-up market in Purcellville on Saturday, but LHR Associate Director Erika Huddleston said they had enough food for 200 families. The food included fresh vegetables and fruit, plus 200 pounds of beef from Blackwater Beef in Middleburg. Huddleston said that several people who had been furloughed told her there was probably someone worse off than them and hesitated to accept help. But she said moments like this is why LHR exists—to help people get through tight times. Congress and President Trump struck a deal Friday to reopen the government for three weeks, while negotiations over Trump’s border security proposal continue. But Friday also marked the second paycheck federal workers missed since the government closed 35 days earlier. See other available services offered to those impacted by the shutdown here.